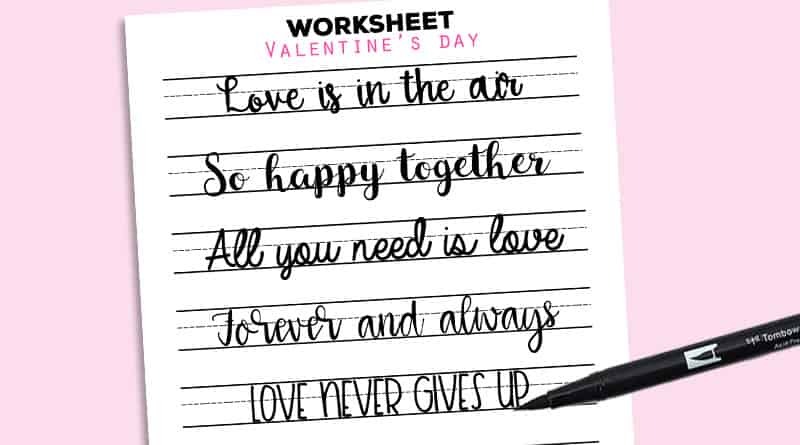 Valentine’s is a few days away, so I thought I would share with you a free printable lettering worksheet filled with romantic sayings. 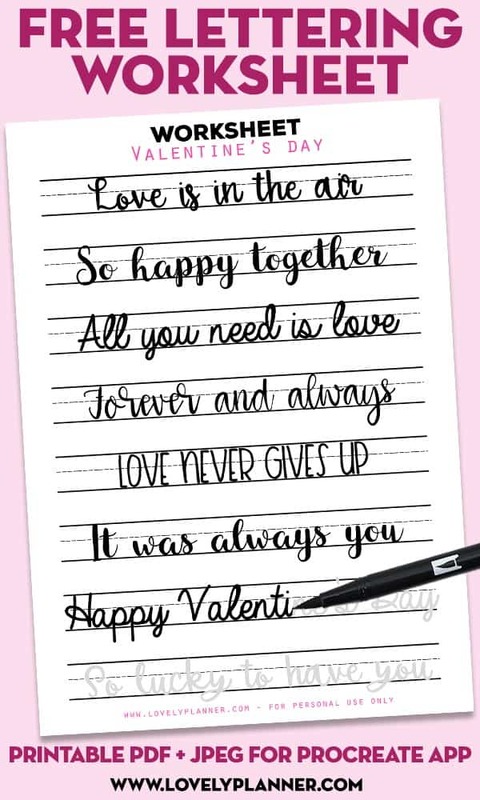 You can use them to make your own Valentine’s day hand lettered card or any other time of the year. You’ll be ready to add cute hand lettered sayings to your planners and cards in no time. You can download this lettering worksheet in US letter size or A5 size.